As you might imagine, the result is not all sweetness and light: the texts reveal a mix of bewilderment, petulance, exasperation and relief as each ad hoc ‘team’ inches towards an acceptable finished product amid bruised egos and trashed deadlines. Taken as a whole, the book is somewhat indigestible and repetitive, but it can be fun to dip into, and some of the contributors are refreshingly frank: ‘I remember the day my box of author copies arrived,’ writes Will Christopher Baer of Penny Dreadful and its ‘wreck of a cover’. ‘This is usually a happy day … I opened the box and briefly considered shoving the lot of them into a pillowcase and drowning them like a litter of two-headed puppies.’ Jamie Keenan’s story of his image for Garrison Keillor’s comic novel Love Me is a typical heroic illustrator’s tale of rescuing a good idea: ‘The original scribble is always best.’ Except that Keillor, in the next column tells us at some length how much he hates it. 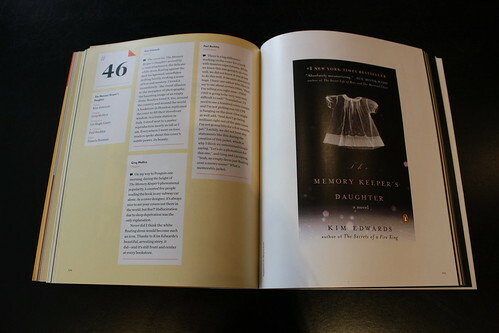 By contrast, Greg Mollica’s hallucinatory cover for Kim Edwards’s The Memory Keeper’s Daughter (above) was an instant hit with the author, the publisher, and with the public. 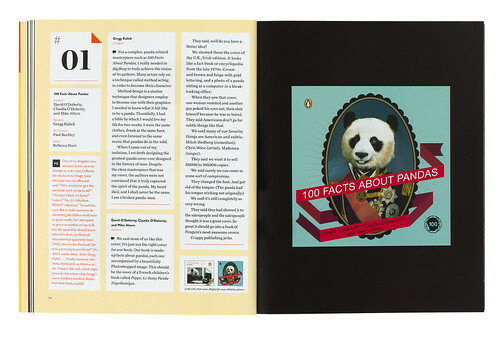 ‘Everywhere I went on tour,’ writes Edwards, ‘readers spoke about this cover’s subtle power, its beauty.’ Jim Powell ‘fell in love at first sight’ with Gregg Kulick’s cover for his The Breaking of Eggs, though elsewhere Kulick is given a hard time for his ‘very wrong’ cover for 100 Facts About Pandas (below and top). Sometimes Buckley drags the story out too far – as with the back story to Twitterature (intern’s solution beats more experienced designers) – and there are times when his commentary reads more like a LinkedIn recommendation (‘Jesse has always been one of my favourite designers. His unparalleled knowledge of design history …’; ‘Tara did such an outstanding job.’). 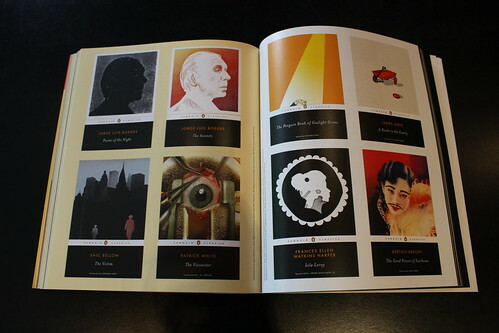 The most substantial parts of the book, visually, are the justly acclaimed series designs, where confident art direction (often Buckley’s own) has led to a re-imagining of familiar titles on the backlist, and the authors and original editors are too distant or too dead to interfere with inappropriate cover images. 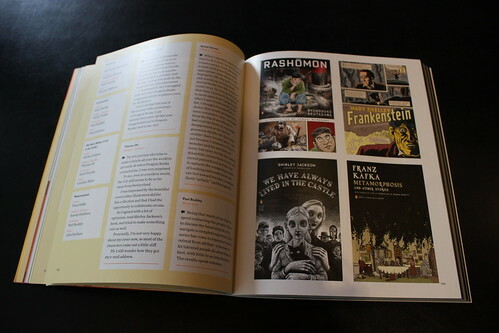 The ‘Graphic Classics’ series (above), designed by notable comic book artists, gets the biggest section in the book – 38 pages. And there’s some wonderful stuff here: Chris Ware’s Candide; Tom Gauld’s The Three Musketeers; Joe Sacco’s One Flew Over The Cuckoo’s Nest; Daniel Clowes’s Frankenstein. 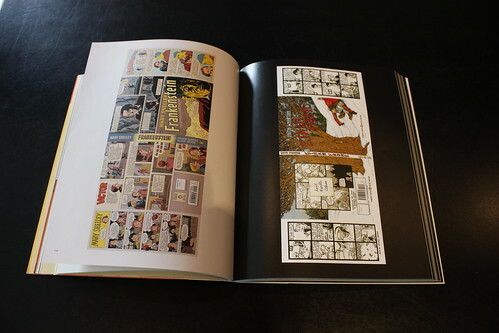 Buckley has little to say about Graphic Classics, other than to call the idea ‘a licence to let talented people do what they do best with little or no interference,’ and there’s a warm credit to Fantagraphics’ Eric Reynolds at the back of the book. 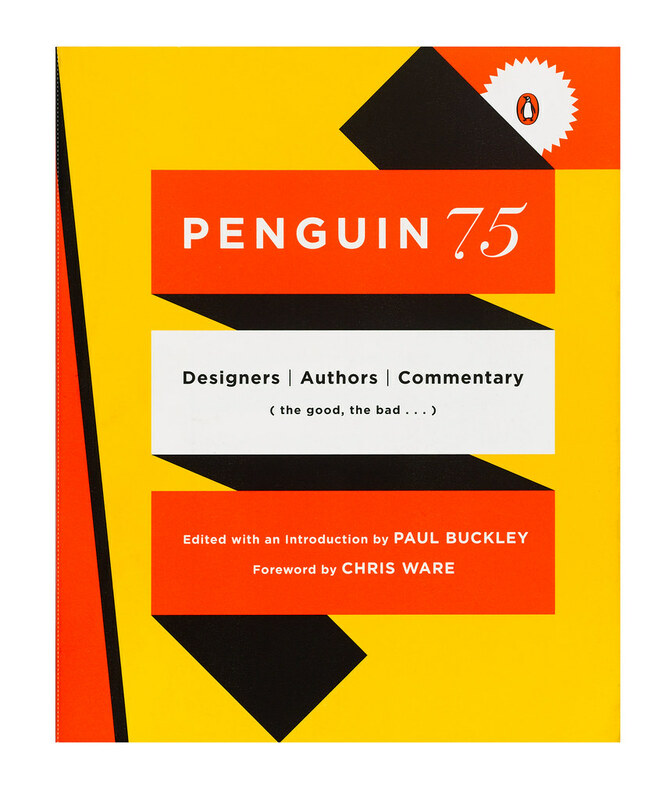 Penguin 75: Designers, Authors, Commentary (the good, the bad…). Edited by Paul Buckley. Penguin, $25. Eye magazine is available from all good design bookshops and at the online Eye shop, where you can order subscriptions, single issues and back issues. The Autumn issue, Eye 77, is on its way to subscribers right now. For regular updates, please sign up for the editor’s newsletter.